Looking for something new and challenging? Ever thought about the exhibition and event industry? It is sometimes called the BTL market in the ad agency world , the “invisible industry” to some, MICE to others. Not many know about what we do. We are the team behind the scenes that help businesses connect. We are the international ambassadors that bridge cultures and brands in the B2B market. If you are well organized, self-motivated, can work internationally and have amazing written / verbal skills, then we should talk. We are looking for a GREAT salesperson that is creative, excellent with customers, and who can get results. Our client base includes a wide variety of prospects in different industries WORLDWIDE. The salesperson we shall select will find XDS is a progressive, innovative company who values their employees and rewards people for great performance. Maintain focus on priority goal of ensure projects are on time, within budget, to quality expected and meeting customer expectations. Experience with project scheduling, documenting workflow, Gantt charts. Identify and highlight possible risk in the project. Willing to work extended hours as required onsite. Knowledge of CRM Software – You will use this daily. If B2B sales and planning complex projects is “just a job”, this is not for you! We are looking for an exceptional Project Manager that requires minimal supervision, is driven, and knows what it takes to drive a project to successful completion. To apply, please email your resume to office@xds.ro. Please be sure to include your full name, photo, phone number and email address in the body of the email. XDS is a European Full Service Exhibition House with a proven track record nearly 16 years long. Innovative, insightful and inspired, XDS has gained a reputation for bringing brands to life through powerful and engaging experiences – from strategy to execution. XDS has a smarter approach to building client sales and perfectly managing their trade show, marketing environment and event programs. In 2014, our CEO was on the cover of the Forbes Magazine, as a recognition of the company visibility and recognition and he currently holds the position of President of the Global Association gathering the International Exhibit Houses in 38+ countries, IFES. If you have a creative spirit, love to travel, are challenged by the prospect of building a territory and enjoy an empowered team environment, then this is the perfect opportunity for you! 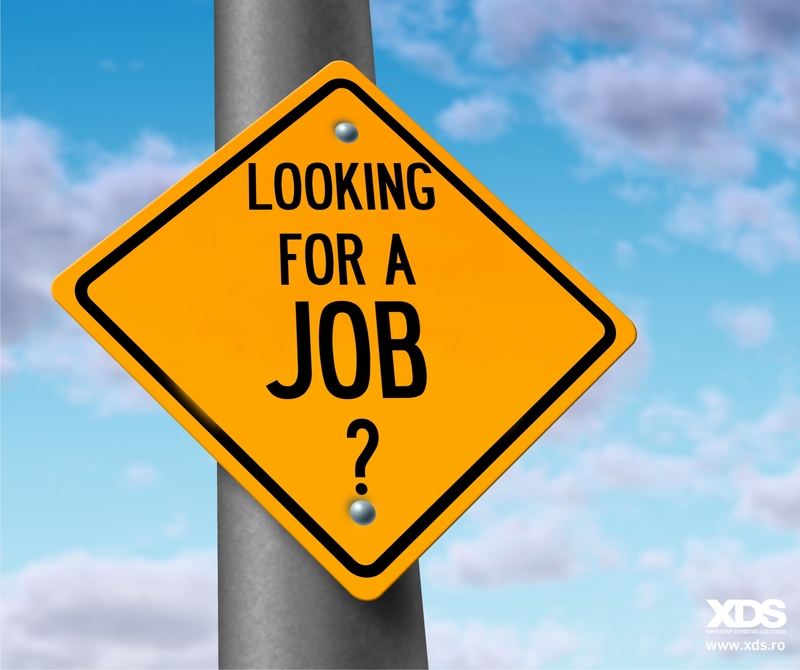 « UN NOU JOB LA XDS – OFFICE MANAGER!